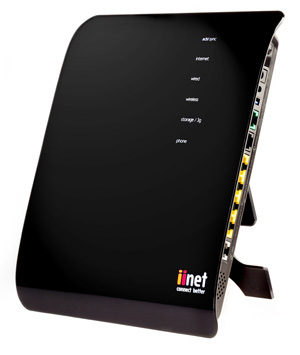 National broadband provider iiNet today said it was well advanced in its planning for the expected Internet Protocol version 4 address global shortage, and the shift to version 6 of the long-lived protocol. This week, media were globally echoing the news that a handful of addresses was all was left of the IPv4 stocks all over the world. In plain numbers, prior to this week, the Internet Assigned Numbers Authority (IANA) had only seven of its “/8” blocks. Two of those were allocated to the Asia Pacific Network Information Centre (APNIC) last Tuesday. The other five will be automatically given to the Regional Internet Registries (RIR) — governing bodies which manage the distribution of IP addresses in specific geographic region — that will then allocate their Internet addresses according to their own policies. There are a total of five RIRs, that is to say the exact number of “/8” blocks which IANA held. After these final allocations, panic spread, as expected. Although APNIC said in a statement it would not be until another five years that the familiar IPv4 would be exhausted, it reiterated that moving to the IPv6 would be the only means available to face the ongoing growth of the Tnternet. Asked about the shortage, iiNet Communications Manager Anthony Fisk said the company was well advanced in planning for its transition to IPv6. He said the migration to the new protocol will be run through a dual stack implementation of IPv4 and IPv6 concurrently on iiNet’s network at some stage later this year. However, Fisk acknowledged the migration won’t be without problems. “The biggest problem with simply switching over to IPv6 is that websites will need to be able support it,” he said. “We expect that for several years, systems will try to use IPv6 first then IPv4. Eventually we phase out the use of IPv4”. In fact, migrating users from IPv4 to IPv6 will require many years as devices and networks need to migrate first. “This will take a significant amount of cooperation from the Internet community,” Fisk said. “Another issue for the industry is that some customers will eventually need to upgrade their modems to ensure they understand IPv6”. Fisk said iiNet would work on the deployment of the IPv6 to ensure customers won’t notice the change. “Needless to say, our transition path will make the changeover as seamless as possible for our customers,” he said. In a media release issued yesterday, iiNet rival Internode revealed it held stocks of IPv4 addresses that would enable the company to respond to projected customer demand for at least three to five years. Internode managing director Simon Hackett said Internode would give new customers “two kinds of Internet addresses”, to ensure a smooth transition. “We’ve ensured our customers have the best of both worlds, so they don’t need to worry about this issue during the transition period. Internode customers won’t run out of IP addresses,” Hackett said. What is this Tnternet Renai? I’m looking forward to watching my IPTV via my dual stack iiNet Broadband service on my iiNet provided CPE. Any idea how far off that is? I notice this article does not call the ISP in question a “Miser” or a “Hoarder” unlike Renai’s shameful peice on Internode from a few days ago. Nor does it feature Scrooge McDuck as the article’s image. Ms Freri also addresses Internodes position in a factual and impartial manner – which is what I expect from journalists. Kudo’s to Marina Freri. The problem is that most ADSL modems are IPv4 only and there are few is not any announcements by modem vendors to give people firmware upgrades. This could mean IPv6 adoption could taken many a year for Australia. It’s a case of too little, too late. On the positive, IPV4 addresses will continue to be freed up. Not only are companies relinquishing large chucks of IP’s back for allocation, but the web-hosting industry is in a decline with many web users visiting the major sites. many small websites aren’t getting any traffic. Don’t I know it… I currently have a modem acting as a tunnel connection, connected to a WRT54G running a custom OpenWRT firmware which runs the PPPoE session, and this is then linked an Apple Extreme Base Station (which althrough it supports IPv6 it doesn’t support IPv6 over a PPPoE session, hence the WRT54G) all so that I have an dual stack session WITH Wireless N capablities and not spend about $800 to do it. (All up this setup cost me about $350). The good news is the Fritz! Box is coming soon. Finally I can consolite my network into one, mordern, low power device. I swear I’m using like 30W more than I need to be right now. ADSL modems/routers can run in bridge mode which runs at I think it’s layer 2. IPv6 runs at layer 3 meaning the hardware will support it as long as your operating system (linux or windows) supports IPv3 at layer 3, which they all do. Of course this gets more complicated for sharing internet between multiple devices. as a brand new Node customer, I spoke to Hackett about these concerns the other day on WP, fearing i had just paid for a modem and would have to buy a far more expensve ipv6 one within 12 months as well. But,in fact, many of their basic netcomms handed out/bought over the last coupe of years can be upgraded to IPv6 capable through firmware updates, something these articles keep failing to mention. so no, you wont have to fork out for a Billion or a FritzBox, your current router is likely to be able to do the job just fine as long as its not ancient. This is great news, which should be reported clearly (not in a vague phrase about the core system going ipv6 like in s recent delimiter article) in these articles about internode going to ipv6, so customers dont start panicking about having to fork up more cash to be able to move to the new system.